Sean and I recently came home to find our baby sitter busy scrolling her Tinder account. Loch was asleep and she was watching a movie on mute while checking out prospects. 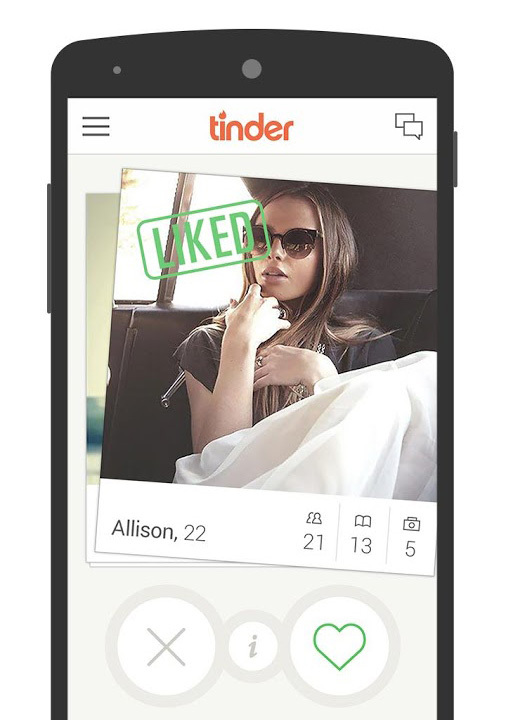 Having heard of, but never really seen, Tinder I sat down beside her to check it out. An hour later I was STILL there. Is this is how people date now?! For reals? How old am I? It was completely ridiculous…and totally addictive. Tinder is an on-line dating app that locates you with GPS then uses your Facebook information to create a profile (nothing about Tinder is posted on Facebook). 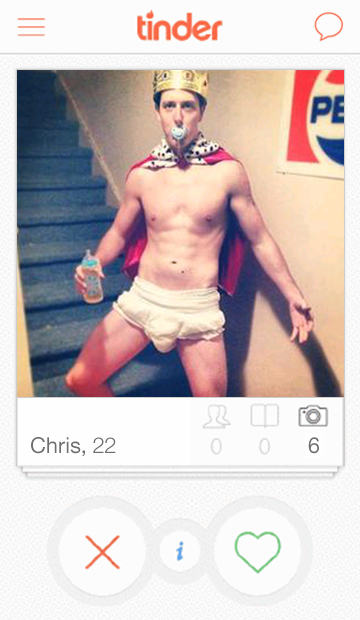 A Tinder profile is simply your first name, age and “up to” 6 photos of your choice. It also includes any public pages you might have ‘liked’ on Facebook. 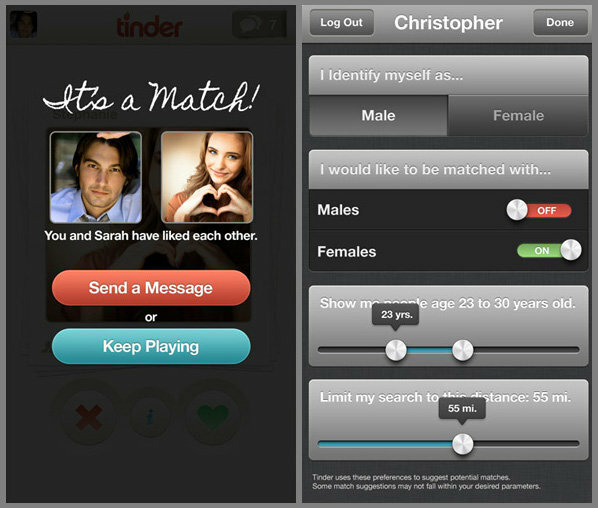 Tinder then uses an algorithm to find you potential matches and you further narrow the choices by age, distance and appeal. 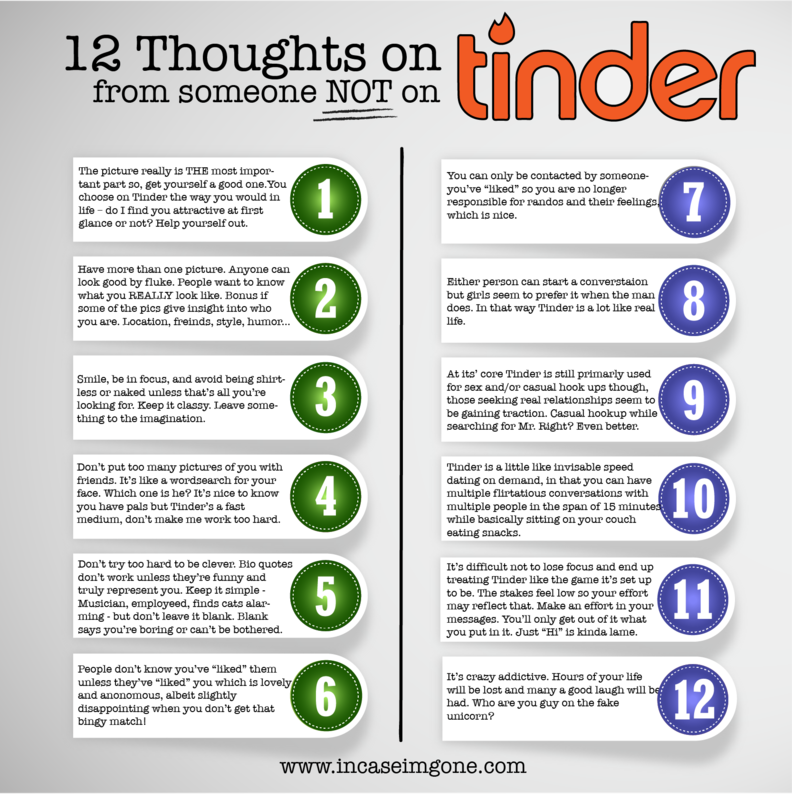 These days, if you’re single, you’re probably on Tinder. Since I’m not single, and this kind of technology didn’t exist AT ALL when I was dating, I completely missed the boat and, it’s a hell of a party boat!! You can literally “shop” for a person. Our sitter is a doll, with a great sense of humor, and she thought it was a riot to give the old lady her phone and allow her to drive. I learned to “swipe left” on anyone I didn’t think was right for her and press a heart button for those I thought were. I could further “examine” a profile by checking their other photos and short bio and, I could just as quickly discard someone who didn’t make the cut with the touch of an “X”. It took SECONDS for me to judge and decide. “No. No. No. God no. No. Please! Dude, where’s your head?” Even taking the time to look further into someone took less than a minute. 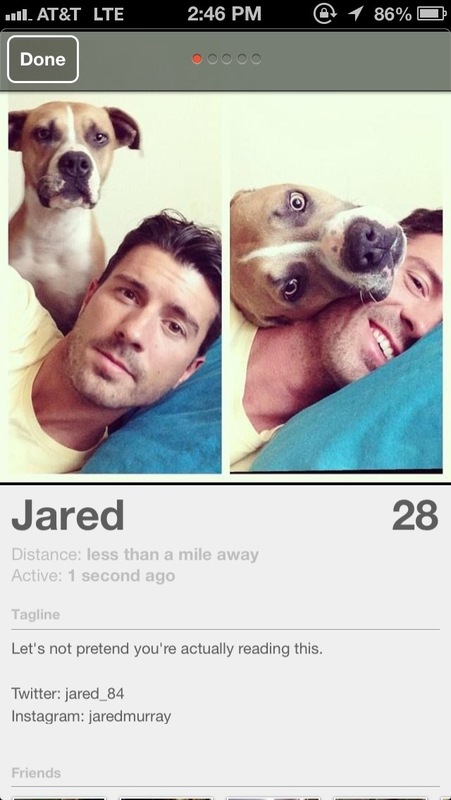 You check their pictures – make assumptions based on their aesthetic, background location, clothes and friends – and read their “bio” which seemed to range from the bare minimum – LA<NY<CA or, their height, which apparently is a big thing on Tinder – to cleverly written self-descriptions that offer insight. If you were still intrigued you could “heart” them and their picture was stamped with “Liked” (much like the the post office would stamp a package with “Fragile”) and, if that person also “liked” you, a separate page would appear with the offer to “Send a Message” or “Keep Playing”. Keep Playing!!! It actually said that. As if the entire thing was a game. If it was, I was in it to win it. Our sitter’s the best and she happily sat beside me while I continued to “play”. I became giddy when we (yes we, I was an active participant now) got a match. I was abnormally excited to come up with something clever to say when they messaged her. I was careful to take her personality and likes into account when crafting my response and check before I sent it off but, I know her well so, I think it’d be fair to say, I did a pretty good job of capturing the vibe she was looking to send out. At one point she even said, “Dude, you got him hooked!” and I felt, God help me, proud. You know what’s incredibly attractive? People who are happy, who aren’t really looking, people who don’t feel the pressure of needing anything to lead to anything. Happily married people can apparently kill on Tinder. Look, for many reasons I’m glad I’m not single but, it really is a new world out there and, I believe parts of it can be truly fun if you allow them to be. A friend who’s my age recently joined Tinder after a disappointing run with on-line dating and very little help from her married friends. She said the process was horrifying but, it was also kind of awesome to be encouraged to embrace your instantaneous and shallow reaction to people. She said “Tinder teaches you a lot about yourself and your biases”. She told me she realized she was kind of “nameist”. That if the guy was named Io, or Jebbadaiah or, God help her, Five (real name for a real guy who came up shirtless in her pile) she was “swiping left”. I totally get it. It’s pretty easy to be judgey from the privacy of your own phone. No one gets hurt if your shallow flag flies because no one knows. You either like someone or you don’t and you don’t have to make up a whole song and dance excuse at a bar in order to have them go away. 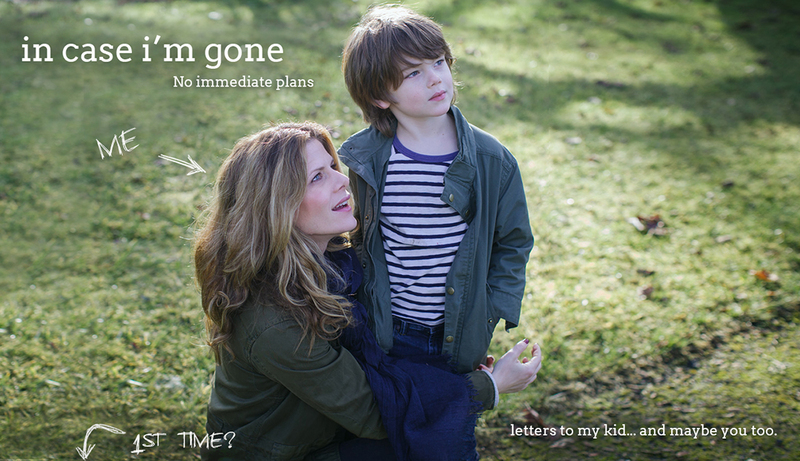 With a flip of your finger they’re just gone. You might go on some bad dates. The guy that turns out to be 4’1″, a grump or, worse, a bully but, that can happen no matter how you meet someone. I went on any number of bad dates as a single person. The guy that did six shots of tequila at a bar before the movie and then proceeded to get into a fight with someone he thought owed him money. The guy who verbally shamed me for over 10 minutes after I ordered a glass of wine because, unbeknownst to me, he had just decided to become sober. The first date who left me sitting alone for 45 minutes in a restaurant without a call, text or apology. Even the waiters wanted me to bail. There are a million jerks out there, how you meet them is kind of irrelevant, you keep trying because one day, the hope is, you’ll finally meet someone good. I picked dudes with tats and piercings because she likes tats and piercings. I chose alternative looking guys I found borderline homeless but, she found hot. I avoided the clean cut guys that appealed to me but were too “boo-jee” for her. Despite being over a decade older, a “married with kids” to her “single, ready to party”, we ultimately had the same goal. We both know she deserves better in the love department. We both want to see her in a solid relationship where she feel good about herself and, just like the friend who’s my age, we both know she’s a terrific girl who deserves a terrific guy. I’m not sure if either of them are going to find him on Tinder but, it seems like a legitimate place to start. Meeting in a bar, at work, through friends, it seems slow and archaic in today’s busy, busy, go, go, social media is mecca, world. Tinder speaks directly to our culture’s shallowness, our preoccupation with physical attraction and our increasingly limited attention span. It’s a game where the winner gets a date, a hook up, or just personal validation. Ultimately I had to force myself to stop. It was just too fun. Too addictive. Too tempting. Single people, I don’t envy your situation but I am slightly jealous of your applications. Permission to flirt without expectation? The ability to follow through only if desired? Picking a date out of a virtual catalogue of potential suitors? I know finding love can be tough, but lighting a flame on Tinder…that’s kinda hot.